- Yellow Gold - Natural gold and color-saturated alloys are what give yellow gold its rich shine. The alloys most commonly used, are copper with a red hue, and silver featuring a green hue. An expert mixture of copper, silver and pure gold gives this precious metal its signature warmth. - White Gold - A silvery white character is what makes white gold so appealing. 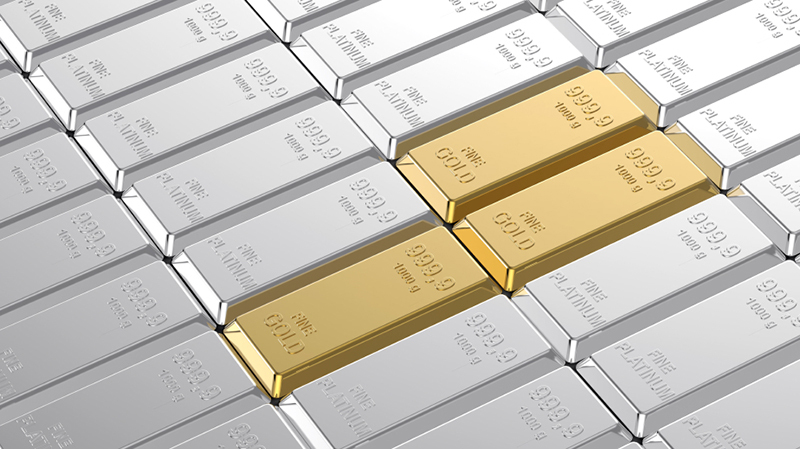 In order to make the gold white, it is combined with metal alloys that are white in nature and plated with an extremely hard element called rhodium. Although strong, rhodium may wear away over time. Replating is a simple process that can be done to restore whiteness to your jewelry. - Rose Gold - The beautiful pink hue of rose gold is created by using a copper alloy. Again, the overall percentages of metal alloys is the same for rose gold as it is for yellow or white, there is just a different mixture in what alloys are used. This metal will last forever, making it the ultimate symbol for true, enduring, and everlasting love. Platinum’s naturally white sheen will never fade or change color, and accentuates the sparkle and brilliance of a diamond. Platinum is durable; its density makes it the most secure setting for your diamond or precious gemstone. All our platinum rings are crafted with platinum prongs for setting loose diamonds. Because platinum is a naturally white metal, re-plating is unnecessary; it will always hold its beauty.